Paris (AFP) - The Milky Way's signature halo is mostly stellar rubble from a cosmic collision 10 billion years ago with another galaxy a quarter of its size, scientists stunned by their own discovery reported Wednesday. The slow-motion crash with Gaia-Enceladus -- named after the giant of Greek mythology born of Earth and Sky -- not only provided the halo's raw material, equivalent to 600 million Suns, it also filled out our galaxy's distinctive disk, they reported in the journal Nature. "We have basically unravelled the formation of the Milky Way," lead author Amina Helmi, an astronomer at the University of Groningen's Kapteyn Astronomical Institute, told AFP. "The merger led to what we now call the halo of our galaxy, and -- because it was so massive -- to the puffing up of the disk that was already present at the time." "We didn't expect to find that most halo stars have a shared origin," she added. 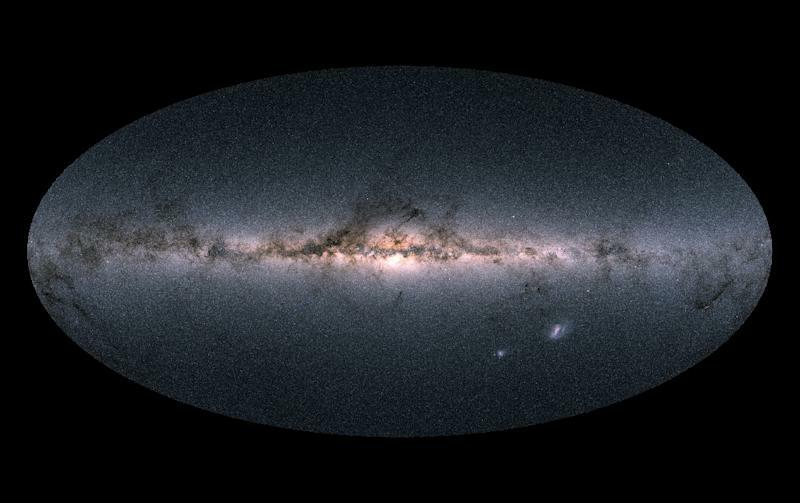 Put into orbit by the European Space Agency in 2013, Gaia has produced an unprecedented 3-D mapping of 1.7 billion stars, including more than a billion -- one percent of the total -- in the Milky Way. "The chemical signature was clearly different from the 'native' Milky Way stars," Helmi said. "And they are a fairly homogenous group, which indicates they share a common origin." "Playing these videos backwards allows astronomers to study how our galaxy was assembled, and how it has evolved," noted Kim Venn, an astronomer at the University of Victoria in Canada, commenting on the study. The team named the galaxy that melded with the Milky Way Enceladus -- progeny of Gaia, goddess of Earth, and Uranus, god of the sky -- because the giant was said to have caused earthquakes after being buried under Mount Etna, much in the way the rogue galaxy unsettled and resculpted the Milky Way. The Gaia satellite gathers data on 100,000 stars per minute, taking some 500 million measurements per day. Its first map was published in September 2016, based on a year's worth of observations of about 1.15 billion stars. Some stars have been measured more tha 70 times as the satellite -- circling the Sun as it orbits Earth -- continuously scans the galaxy.